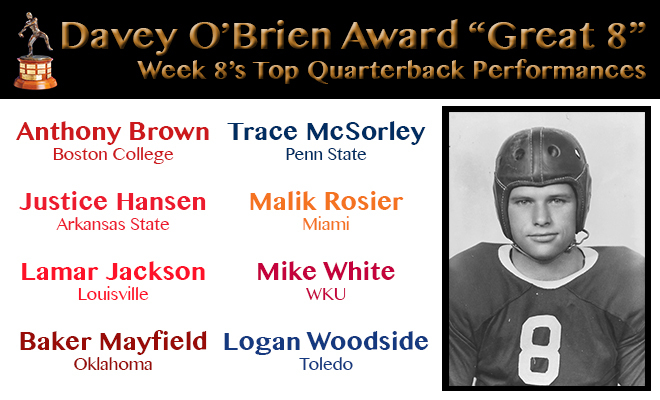 FORT WORTH, Texas (Oct. 23, 2017) – Three members of the Atlantic Coast Conference are among the eight players honored as Davey O’Brien National Quarterback Award “Great 8” performers for week eight of the college football season. 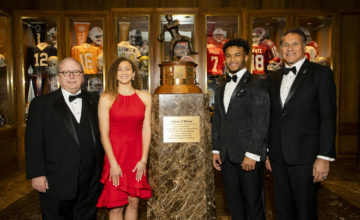 The eight honorees, as determined by voting from the award’s selection subcommittee, are: Anthony Brown of Boston College, Arkansas State’s Justice Hansen, Lamar Jackson of Louisville, Oklahoma’s Baker Mayfield, Trace McSorley of Penn State, Miami’s Malik Rosier, Mike White of WKU and Toledo’s Logan Woodside. 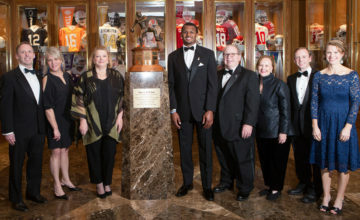 Forty-nine different quarterbacks have now earned the 64 total honors through the season’s first eight weeks. Jackson and Mayfield are now two of three players in the nation recognized three times. Anthony Brown, Boston College, Fr., 6-1, 210, Cliffwood, N.J. Led Boston College to a 41-10 win over Virginia by throwing three touchdown passes and just five incompletions (19-for-24, 275 yards), while adding 32 rushing yards. Justice Hansen, Arkansas State, Jr., 6-4, 218, Edmond, Okla.
Had 275 passing yards (23-for-37) and 121 rushing yards on 13 carries with three total touchdowns (two passing, one rushing) in a 47-3 win over Louisiana. Lamar Jackson, Louisville, Jr., 6-3, 211, Pompano Beach, Fla. Topped the 300-yard mark with 178 rushing yards (one touchdown) and 156 passing yards (one score) in a 31-28 come-from-behind victory over Florida State. Accounted for 479 total yards (410 passing, 69 rushing) and four touchdowns (two passing, two rushing) in a 42-35 comeback victory at Kansas State. Trace McSorley, Penn State, Sr., 6-0, 195, Ashburn, Va. 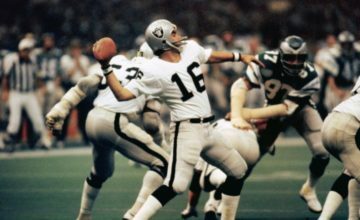 Rushed for three touchdowns and passed for another while totaling 358 yards (282 passing, 76 rushing) in a 42-13 rout of No. 19 Michigan. Malik Rosier, Miami, Jr., 6-1, 216, Mobile, Ala. Completed 26-of-43 passes for 344 yards and two touchdowns, and added 45 rushing yards on nine carries, as Miami defeated Syracuse (27-19). Mike White, WKU, Sr., 6-4, 225, Pembroke Pines, Fla. Completed better than 70 percent of his passes (24-of-34) for 304 yards and five touchdowns as WKU downed Old Dominion, 35-31. Logan Woodside, Toledo, Sr., 6-2, 210, Frankfurt, Ky.
Tossed five touchdown passes while going 17-of-24 for 304 yards, and added 39 rushing yards on three carries in a 48-21 win over Akron.